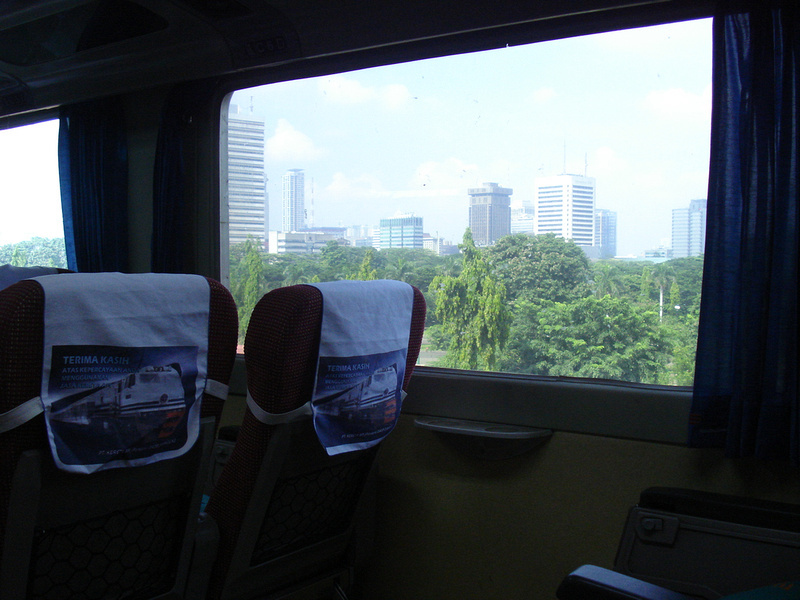 Java has a useful train network which makes for a great way to get from Jakarta to major cities on the island. 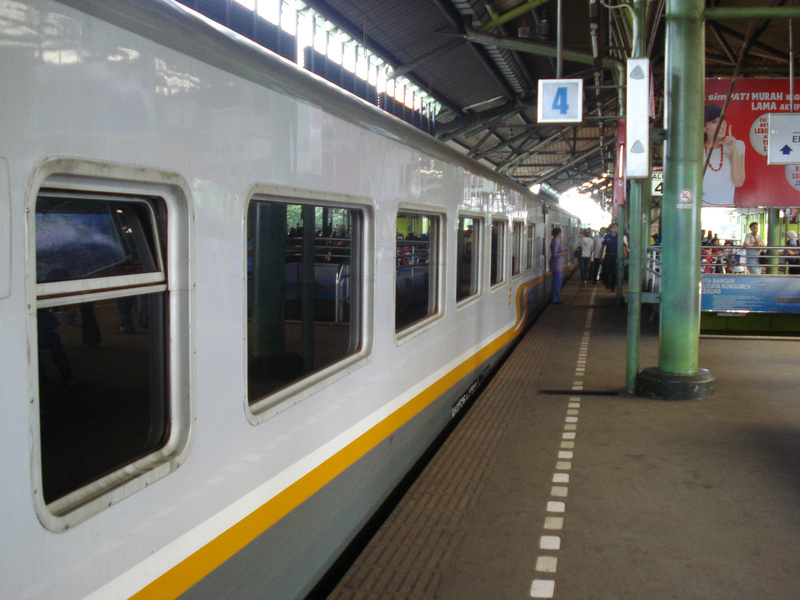 The trains are spacious and comfortable and have a meal service. After flying and overnight buses the train has been a welcome change. 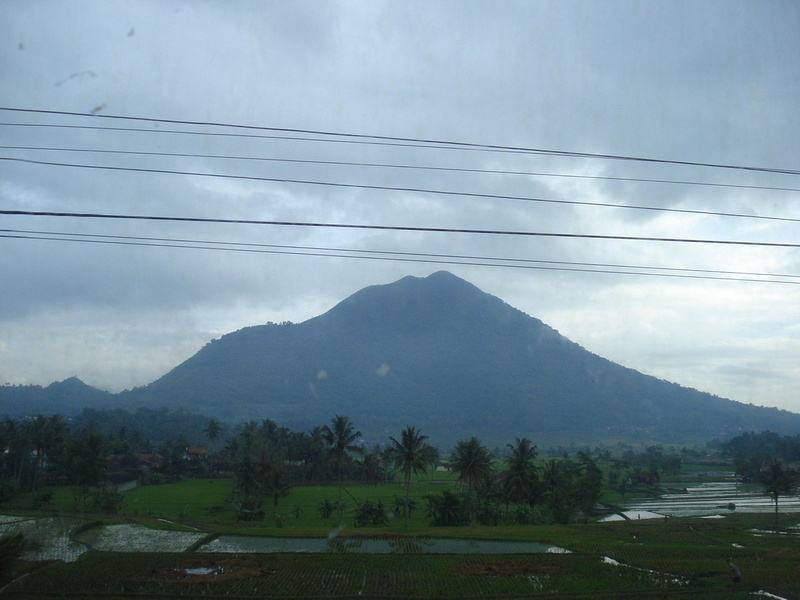 The train from Jakarta to Yogyakarta shows off Java at its most scenic, with dormant volcanos as the back drop of rice fields.